The Rosewood ANZAC Park was dedicated to those who served in World War One. R.S.S.I.L.A.-The monthly meeting of the Rosewood sub-branch of the R.S.S.I.L.A. was held in the School of Arts on Tuesday evening, the chair being occupied by Mr. R. J. Hart. There was a good attendance. The balance sheet disclosed a credit balance of £11/3/. Subscriptions totalling £1, were received, and accounts amountlng to £12/8/6 were passed for payment. 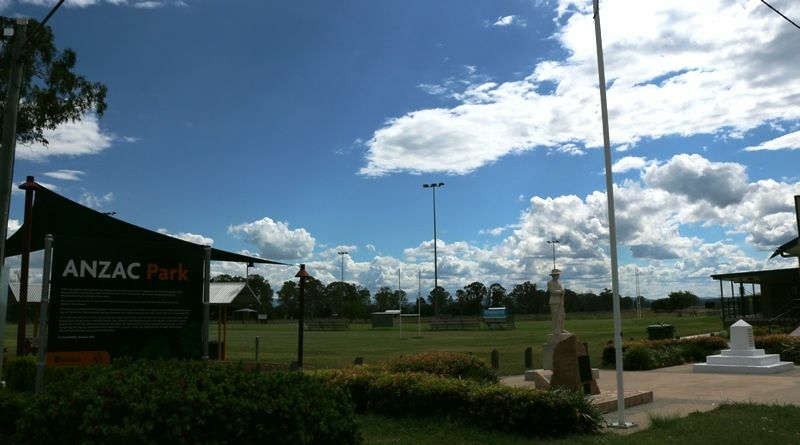 It was decided to ask the Shire Council to allow the League to take over the control of Anzac Park, with a view to keeping it in fitting order as a memorial park. Mr. Hart was deputed to interview the council. Queensland Times (Ipswich, Qld. ), 1 May 1925. At the monthly council meeting on the 1st October 1925, the Park Committee submitted a report, and advised that the R.S.S.I.L.A was taking a keen interest in the park. On the recommendation of the committee it was decided to make an annual grant of £20 for the improvement of the park, and provide extra trees for planting. Queensland Times (Ipswich), 2nd October 1925.